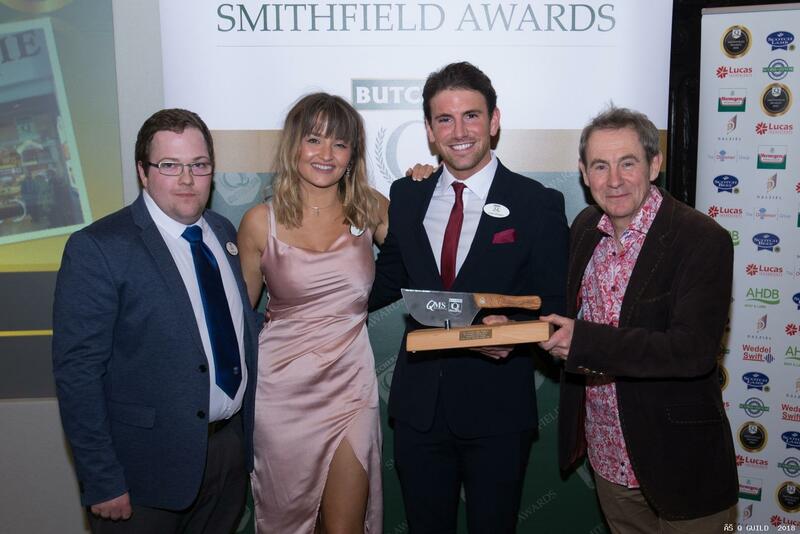 Two Scottish butchers were celebrating after winning Diamond Awards in the UK’s most prestigious competition for craft butchery products – The Smithfield Awards. 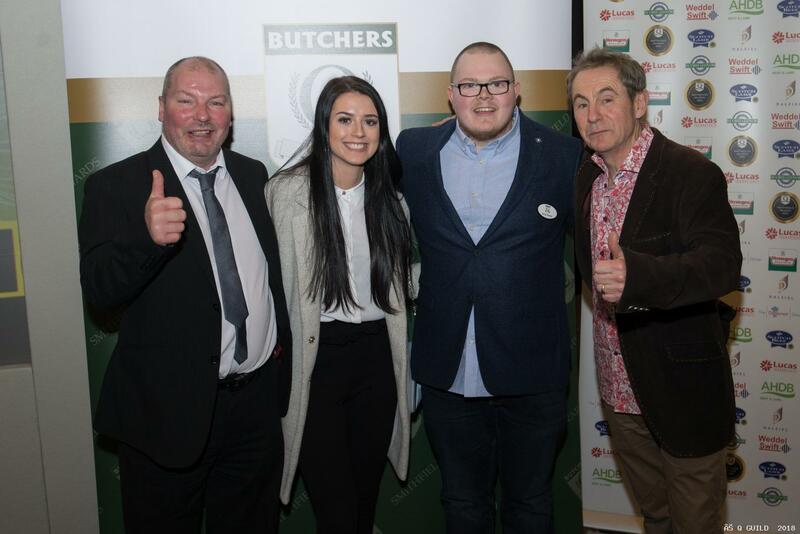 Thomas Johnston in Falkirk was awarded diamond in the Traditional Pork Sausage category and Grierson Brothers in Castle Douglas won the diamond in the hot eating pies category for their lamb shank round. 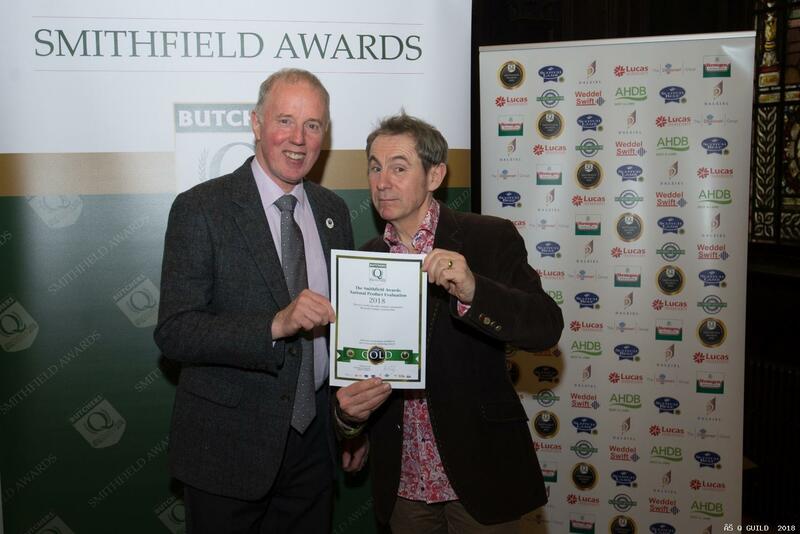 Grierson Brothers also lifted the QMS prize for the Best Scotch Lamb product in the awards and Fergusons of Airdrie won the QMS prize for the best Scotch Beef product for their Steak Pie. 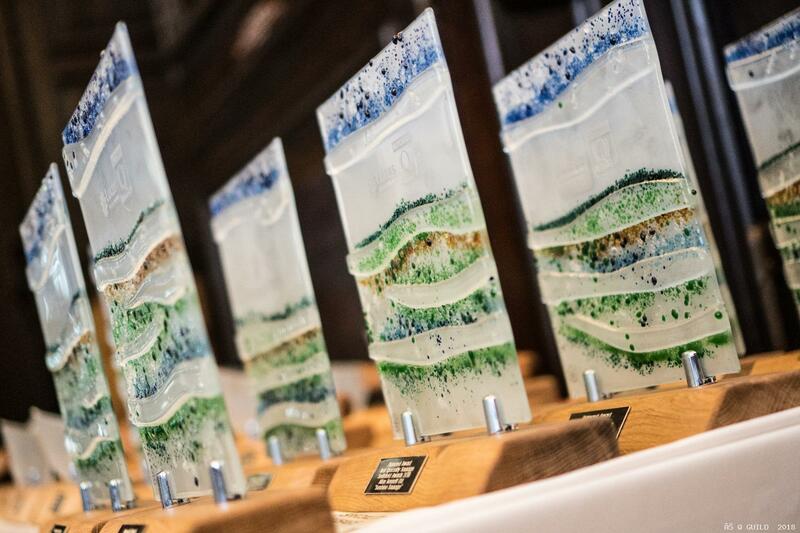 Artisan butchers from across Britain were recognised in 17 other categories, which ranged from Traditional Pork Sausages, Burgers, Pies & Bakery, and Bacon to Ready Meals, Gluten Free Products and Beef and Lamb products in Scotland, Wales and England. Grierson Bros.: Diamond: Lamb Shank Round Pie. Gold: Traditional Ayrshire Middle Bacon, Angry Angus Burger, Silver: Pork Sausage. Dales Traditional Butchers Ltd.: Gold: Pork Beef & Mr Vikkis Chilli Jam Sausage, Beef Burger, Dry Cured Back Bacon, Pork and Chilli Jam Pie, Home Baked Guinness & Chilli Black Pudding, Home Made Lasagne, Chicken Delight. Silver: Traditional Pork Sausage, Gluten Free Pork Sausage, Scotch and Haggis Pie, Homemade Steak Pie, Westmorland Pork Sausage. Traditional Stovies, Gluten Fee Haggis, Iron Brew & Sweet Chilli Sausage. The House of Bruar: Gold: Traditional Breakfast Pork Sausage, Beef Sausage, Honey Roast Pork Sausage, Steak & Kidney Pie, Lincolnshire Sausage, Game Pie, Steak Pie, Pork & Apple Sausage, Pork & Caramelised Onion Sausage, Pork Chipolatas, Venison Sausage, Mince & Onion Pie. Silver: Steak & Ale Pie, Pork & Black Pudding Sausage, Pork & Leek Sausage, Chicken & Ham Pie, Cumberland Sausage. Patricks of Camelon: Gold: Bacon Mac N Cheese Pie, Oven Bake Gluten Free Doner Kebab, Jumbo BBQ Steak Burger, Steak and Onion Pie , Smokey Bacon Links, Pizza Sausage, MacBacon, Highlander Pie, Mac N Cheese. Silver: MacHaggis, Cheesy Banger, Steak and Pepper Sausage, Hot and Spicy Lamb Burger. 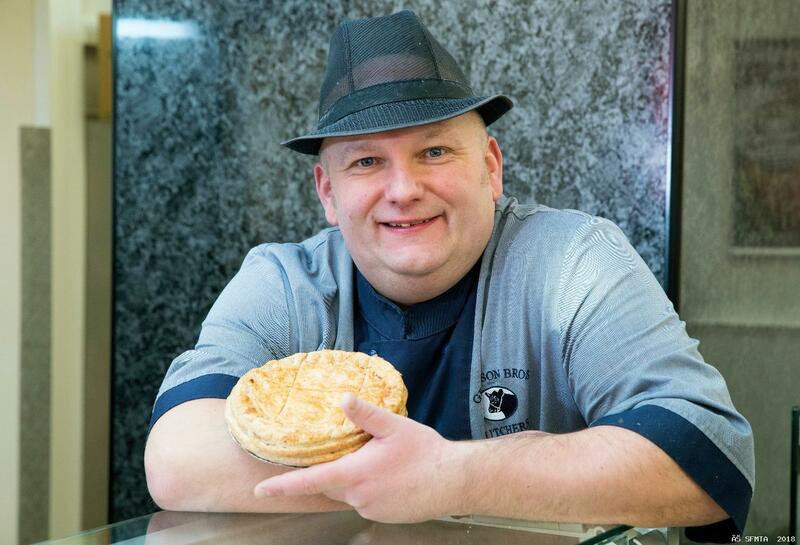 Fergusons of Airdrie: Diamond: Scottish Steak Pie. Gold: Scottish Black Pudding, Scottish Pepper Pattie, Scottish Haggis Slice, Scottish 4oz Extra Lean Steak Burger, Scottish Individual Steak Pie, Scottish Beef Link: Silver: Scottish Pork Link. S Collins & Son:Gold: Jack Daniels Flat Iron Steak, Dry-Cured Turkey Rashers, Dry-Aged Rib of Beef, Silver: Pepper Beef Burger, Chilli & Cheese Pie. Duncan Fraser & Son: Gold: Lamb Wrap, Highland Beef Burger, Gluten Free Beef Sausage, Traditional Pork Sausage, Sweet Chilli Back Bacon, Sweet Chilli Pork Sausage, Stuffed Sweet Peppers. Silver: Lamb Cheese & Spring Onion Burger. John Lawson Butchers & Deli: Gold: Scotch Beef & Haggis Burger, Scotch Beef Sausage Roll, Baked Burns Supper with Whisky Sauce, Maple Glazed Ayrshire Bacon, Silver: Traditional Pork Sausage. Davidsons Specialist Butchers. Gold: Sun-pat Pig, Turkey Bacon, Chicken Cheese & Ham Pasty, Luxurious Venison Pie, Raging Hog Sausage, Haggis, Gourmet Pork Fillet Roast, Black Pudding, Lamb Royale Burger, White Pudding, Roquefort Suacisse, Pulled Pork Pie: Silver: Andouille Sausage, Cajun Truffle, Smokey Cushion of Veal, Beef Bomb, Chicken Bindle, Traditional Pork Sausage, Special Pork Sausage, Rump Steak Burger, Meat with Heat Chilli Burger, Creamy Stuffed Veal Scallopini.